What's a home supply closet (aka stockroom) and why do I need one? A stockroom is the single smartest thing you can do to organize your life (possibly tied with keeping a schedule book or a life planner). It's a location in your home where you keep enough of everything needed to run your home for a certain amount of time. If you work in an office, it works exactly like your office stockroom. When you run out of printer ink at the office, you don't grab your purse and drive to Staples to buy another. That would be a huge waste of time and money. You grab an ink cartridge from the stockroom where it was purchased in bulk for the lowest possible price. Pause right here and think about everything you buy repetitively for your home. Things like garbage bags, vacuum bags, tissues, dishwashing liquid, deodorant, laundry detergent, shampoo, cleaners, and tooth paste. How many times have you added something to your grocery list to pick up at the store and paid $2 more than you could have gotten it elsewhere? How many times have you had to make a trip out to Target to pick up cat food (and about 9 other things that you saw when you got there) because you ran out? 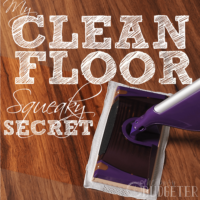 If you do this right, this will save you an incredible amount of time and a whole lot of money. In fact, just a few weeks ago I wrote a post about automating your errands (including your stockroom), to save you 8 hours of time a week, eliminate all of your errands (except a weekly grocery trip), and save a ton of money on the expenses needed to run your house. Over the past 5 years, I've lived with both a highly organized and well stocked home supply closet and none at all. The difference between the two is incredible. 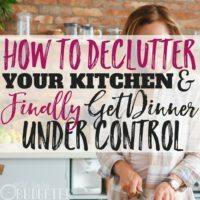 I'm more organized, more put together, have more free time, and have more money to apply to things I care about with a home supply closet in place. Saves time from making errands to get things as they run out (even more so if you have your supplies automated with free shipping and “subscribe and save” through programs like Target.com or Amazon.com ). Saves money by buying in bulk at prices that you've researched to be the lowest, and from impulse purchases and fuel for unneeded errands. Makes budgeting for household expenses easy. You can budget in quarterly trips and know exactly how much you need to spend to run your house. 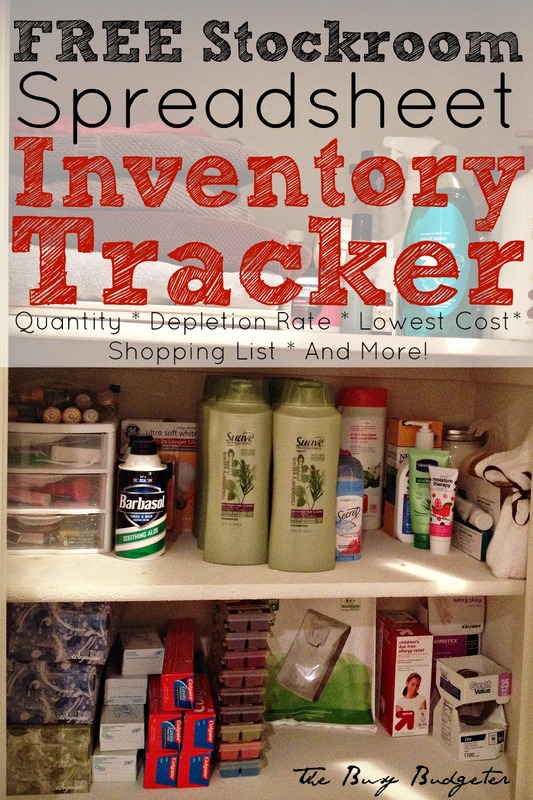 What does the free Stockroom Inventory Tracker do? Everything! I'm so impressed with my husband. I've always kept a notebook with hard to decipher notes to make sure our closet stayed stocked. When my husband heard I was interested in finding a spreadsheet for it, he made me one for my birthday that was amazing (I had no idea he could do that!). It's extensive but easy to use. I'll walk you through the set up and then you just pop in once every 3 or 4 months to make sure it's up to date. It tracks the quantity in stock, how fast you use a product, the best price, and gives you a shopping list and the cost of stock up trips (it even factors in how much of your current stock you will use before the shopping trip) based on any future shopping trip date (which you input). How do I get started with the Stockroom Inventory Tracker? Easy! You can probably figure it out on your own, or you can follow these steps and look at the below diagram for help. Look for the red circle on the diagram listed as Step 1. 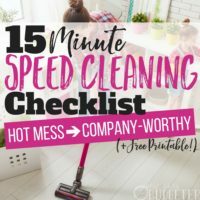 Make a list here (use mine as a guide) of all the things you need to run your house. Don't add things you'd like to use, but don't now, like deep hair conditioning treatments, Febreze etc. Since it's not your routine to use those, you would likely buy them in bulk, not use them and have wasted money and storage space. You can buy those items one at a time, and if you use it up and want to add it to the list, go for it. Trust me on this one, when I started a stockroom it was filled with things that I swore I would use all the time and then never did. No matter how much you want to be the girl that uses English Lavender linen spray on every sheet, towel and wash cloth in your house, it's more likely that you'll be the girl that spent $40 in linen spray 3 years ago and never used. Look for the red circle on the diagram listed as Step 2. Click on that tab, this opens up another “page” in the spread sheet. Enter the names of the stores in your area here. Consider automating your errands and entering a store as Target.com or Amazon.com . This allows you to have a drop down menu of your stores available for when you enter your prices. Click on the tab “Inventory Tracker” to bring you back to page 1. Look for the red circle on the diagram listed as Step 3. Go through each item and hunt down what you have in your house. Count items in use as 1. For example, if I have 1 bottle of dish detergent that I'm using at the kitchen sink and 1 extra under the sink, then I have 2. If the one at the sink is almost empty, I'll just say that I have 1. I strongly suggest moving the extra items (the “stock” items that aren't in use) to one central location. There's a few reasons for that. If you have a central stock location then monitoring the amount in your stockroom is easy and doesn't make you run all over the house to check your supply (super important when you live in a three story town house). It also makes efficient use of your space. By arranging your stockroom well, you can minimize the space you need and save under the kitchen sink for the items that are in use. Our stockroom consists of a whole closet and I can shop for 6 months of supplies at a time maximum and fit it all in. I do have to store toilet paper on each level if I do that though, so I prefer 4 months. Other huge “space hogs” are paper towels, diapers and wipes but we almost never use them. We use cloth towels that we sanitize in the wash for everything except “chicken juice”. We cloth diaper our infant, and our oldest (2.5 years), is getting potty trained in a few weeks so we already have enough disposables to last beyond that. If you had the same space, but used a ton of paper towels, diapers, toilet paper and wipes, I would suggest you shop for 2 months at a time, or overtake the corner of a guest bedroom. Some popular locations for your stockroom are a linen closet, a shelf installed above your washer dryer, a shelving unit in your basement, the closet in your guest room, or if need be, a corner shelf in a guest room. Okay, so that won't exactly look gorgeous, but I bet all your guests will be impressed at how organized you are! The tracker even lets you know when you're below your minimum stock amounts! The quantity of those items will be highlighted in light pink when that happens. 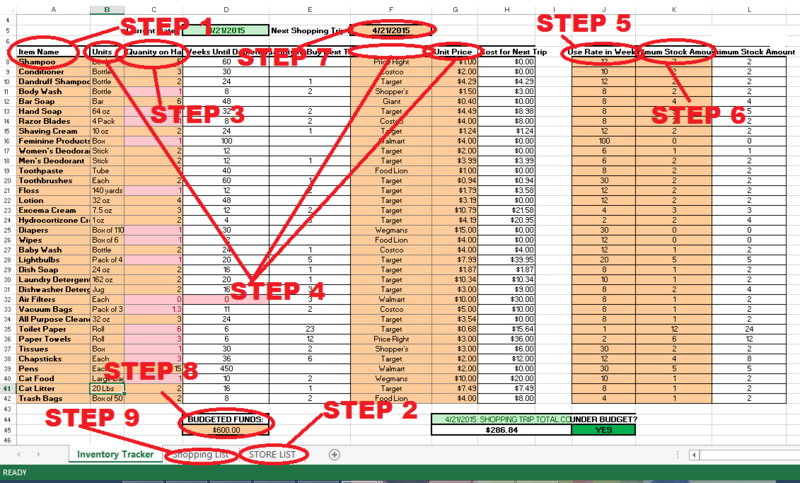 Step 4: Determining Best Prices. Look for the red circles in the diagram listed as step 4. Time for some research. Get comfy on the couch and turn on The Vampire Diaries (or PBS kids, or Downton Abbey, whatever). Load your browser tabs with Amazon.com , Target.com, Walmart.com , and Google Search (or just click those links, they open in new tabs for you). One at a time, search each place for the best price on what you use of the item. Use the google search feature to search for current prices at Costco, Aldi or other places (ex. Google Search: ALDI 2015 price paper towels). If you need help calculating the unit price (to determine the best price) click here. Once you determine the best price for the product, enter the unit of measurement into the spreadsheet, choose the store from the drop down menu and enter the unit price. You'll notice on my sheet, that some things are listed by container (i.e. bottle) and some by amount (i.e. 32 oz.) The items listed by container are things that I want to have a certain brand of, and I purchase the same container every time. So there's no need to list the price per oz. I know I'm going to buy the 80 oz. bottle for $6.99 every time. The products I list by oz. are products that I don't have any brand preference with. I'll purchase whatever is cheapest. Since different brands sell different sized containers, it's important to know unit sizes so I know what's actually cheaper. Important note: Stocking up isn't the time to try a new brand. Don't try an untested hand lotion and buy 10 bottles because it's 20 cents cheaper than your favorite brand. If you end up hating the lotion, you're stuck using something you hate, or you just wasted a ton of money. Look for the red circle in the diagram listed as step 5. This is the column where you list how long (in weeks) it takes to use up a container of product. Likely, when you start this, you won't really know. That's okay. Give it your best estimate and adjust as you go. If you want to get this perfect, read this post on how to determine your use rate on anything in the house. It makes budgeting so easy! You know exactly how much you need to buy and when. This spreadsheet factors in your use rate. When you're planning a shopping trip in 4 months, it knows how much of your current stock you'll have used up in four months and adjusts the number you need to buy accordingly. It also lets you know in the cells “weeks until depleted” how many weeks you can go on your current stock. Look for the red circle in the diagram listed as step 6. What is the minimum amount you want to have on hand? Plan this “minimum” based on how often you want to make trips (or if you're super smart, just automate this on Target.com or Walmart.com and don't worry about making trips.) I like to replenish the stock supply every 4 months. Look for the red circle in the diagram listed as step 7. You can put any date in here for your shopping trip (even way far into the future like 2055 if you'd like to see what you'll spend to run your house over the next 30 years). If you have no stockroom now, I would choose a date within the next month (as soon as you can budget it in). 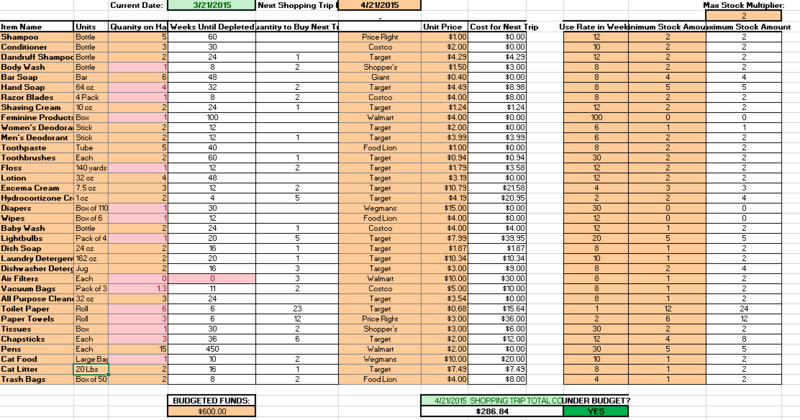 Based on this date, your usage rates and your minimum stock, the spreadsheet will tell you how much you need to buy of each product and the total price for each product, along with a price for your full shopping trip. Look for the red circle in the diagram listed as step 8. This is a simple tool to ensure that you stay under budget. Determine your budget for the frequency of the trips you make (i.e. every 4 months), then list the budgeted amount for that trip here. The spreadsheet adds up your total shopping trip cost (and factors in replacing the items in your stockroom that you'll use based on your usage rate until that date), totals it in the green box , and gives you a green box if your under budget, or a red box if your over budget. Look for the red circle in the diagram listed as step 9. Click this tab to see a printable grocery list to take to the store with you, or keep it out to refer to while you make your order online. Love the idea but don't have extra money? , don't sign up for the subscribe and save unless you have at least a year of experience with sticking to a budget and referring to it weekly. The 5% savings isn't worth the possibility that you forget about this and a charge goes through emptying your bank account. I would head to Target or Walmart (here in Northern Virginia, their prices are identical, but I can save an additional 5% on everything at Target by using their free debit card) and buy the essentials for a month. Plan for $30-$50 and buy the absolute cheapest product you can stand (hint: I switched to suave rosemary and mint shampoo from Pantene and LOVE it (I'm not paid to say that, although I wish I could be). Substitute things for cheaper items, use bar soap instead of body wash and eliminate things you don't need (you can probably push that razor through a few extra weeks, and try really hard to reduce paper towel consumption by using rags or old cut up towels instead). Next month, plan for $40-$60 (you'll have saved that much by not buying things at higher grocery prices) and buy enough using the same method for 2 months. If you have access to coupons (I wouldn't buy a paper especially though, since they cost $2 and likely you can buy a store brand for less than the national brand even with the coupon). Build yourself slowly up to your complete stockroom, only ever buying essentials. If you get discouraged, remember that this is just a sliver in time of your life. You won't always be this strapped for cash and the lessons and skills you learn now to save money will stay with you forever. Often, the most difficult times in my life ended up giving me the greatest gifts. Just be strong enough to not ignore the problem. Keep moving towards automating and saving money. One of the greatest things about a stockroom to me is automating. I automate the whole thing by using Dollar Shave Club (way cheaper than Target for razors, I used to pay $14 for 4 razor cartridges, now I pay $6 and both have free shipping!) and Target. The best secret though is stacking savings with Target.com. The online prices are usually the same (occasionally better if you can buy a bulk pack not available in the store). You can use your REDcard debit card (NOT a credit card- I don't endorse credit cards ever, the debit card is free from Target, links to your regular checking account and everything you purchase is eligible for 5% savings, in addition you get free shipping from target.com and a better return policy) to save 5%, and then an additional 5% to sign up for subscribe and save (which makes your job easier because you just need to do the initial order and set it up to send out that order every 4 months, then add that amount into your budget. You can stop or change the subscription at any time. 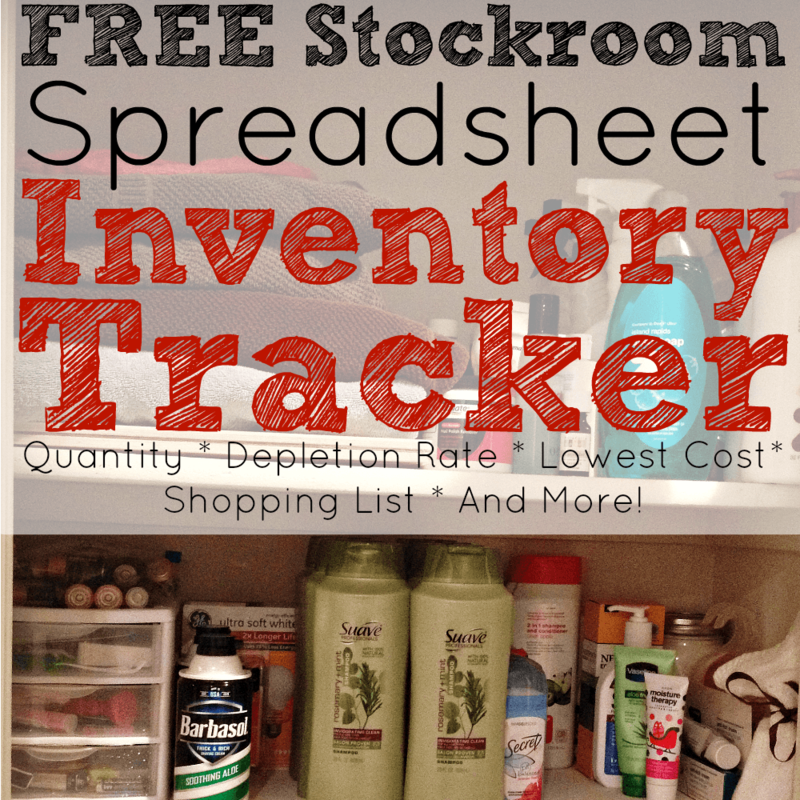 Download your *FREE* Home Supply Closet Inventory Tracker here: Click here to download the stockroom tracker! 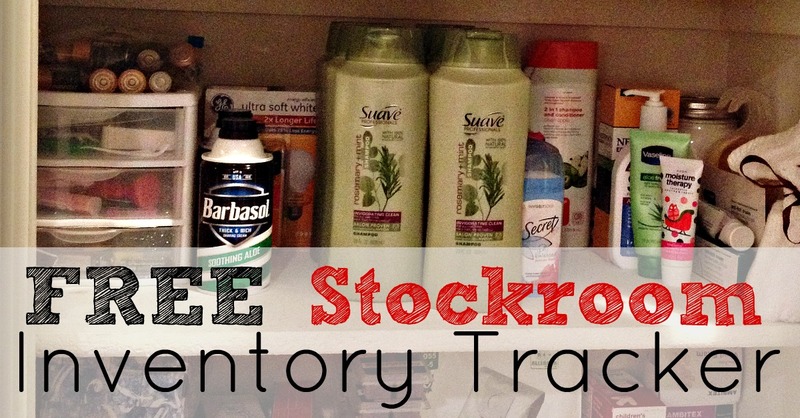 Where do you find the best prices on your stockroom supplies? 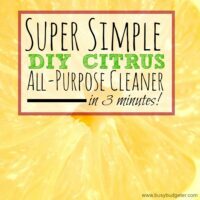 Shared on Thrifty Thursday and Frugal Friday. This post may contain affiliate links. Purchasing a product using that link will not change your purchase price, but I may be paid a percentage of your purchase for referring you to the product. I never refer products that I wouldn't use myself or don't love. I know how you feel Lorraine, just do a little bit at a time. It saves you so much time and money in the end! Good Luck! Thank you for your post! I never thought to organize pantry items in such an methodical way. I do think it will save time and I will see how I can use this in my home! Thanks! Just came across this post and I love it! Very thorough, and the spreadsheet is amazing. I was curious if you ever check back with websites to make sure you’re still getting the best price on products? If so, how often would you do this?